Walt Disney Pictures has done an agile job turning their vault of animated films into live-action updates. CINDERELLA, THE JUNGLE BOOK and BEAUTY AND THE BEAST are just three of the cartoon classics that made the transition successfully over the past decade. And while some may have assumed they were done merely for commerce or to keep the equities alive, the films managed to bring something genuinely worthwhile to their narratives. Lily James’ Cinderella was far more feminist, the CGI-created animals in Mowgli’s jungle were breathtakingly real, and the Beast and even Gaston got enhanced backstories. 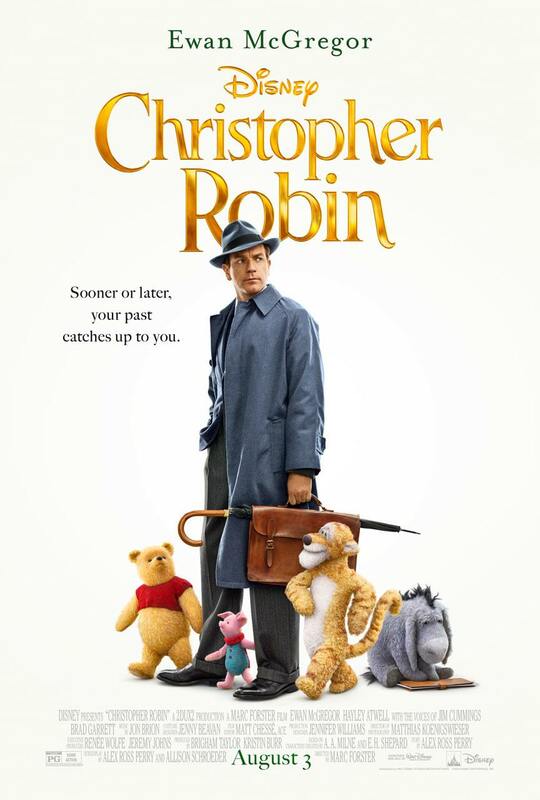 Now, WINNIE THE POOH is updated similarly, and it turns the human character of Christopher Robin (Ewan McGregor) into a grown man experiencing a mid-life crisis. The ever-so-serious businessman he’s become needs to get in touch with his inner child, and who better to help than his plush playmates from youth? Here, Robin is an overworked executive toiling in the luggage department of the Winslow Company, a mammoth corporation in the heart of London. His division isn’t making their numbers, and his boss Giles Winslow, Jr. (Mark Gatiss, so slippery he should come with a hazard sign) wants Robin to make cuts in staffing. Robin is beloved by his crew, and rightfully so, as he treats them as equals and friends. Unfortunately, his preoccupation with his career, and trying to avoid sending them to the unemployment line, leads him to ignore his home life. His absence and distraction are not lost on his long-suffering wife Evelyn (a plucky Hayley Atwell) and adorable daughter Madeline (Bronte Carmichael). As they venture off to the cottage for a weekend jaunt, Robin stays home trying to figure out how to cut 20% out of his department’s operating budget. At first, focusing on such a stiff of an adult conjures up the misbegotten plot of the Steven Spielberg-directed HOOK from 1991. That film too chronicled a grown-up man who needed to get his priorities straight, but the overproduction of Neverland and the story’s erratic tone sunk it. The direction of CHRISTOPHER ROBIN by Marc Forster is more muted, presenting a much quieter and reflective tale. McGregor never strains in his part the way Robin Williams did playing the grown Peter and his nuanced performance keeps us on his side. Throughout, Forster’s film remains a small, intimate character study despite the special effects of creating all of author A.A. Milne’s menagerie. It may take place in a beautifully recreated 1950’s London, but the story stays exceptionally close to its cast of characters. That’s saying a lot, considering that the majority of the cast are stuffed animals and forest creatures. Pooh, Eeyore, Piglet, Tigger, Kanga, Roo, Owl, and Rabbit are all here, all magically brought to life through CGI. These special effects are wholly believable and aren’t overly articulated. Pooh moves with limited mobility, as a teddy bear would versus a real cub. The same goes for the rest of the plush toys. Their seams are showing, and they all look slightly dirty and bedraggled just like toys that saw a lot of play. The characters of Kanga, Roo, Owl, and Rabbit are played as genuine animals, but they have the cartoonish look that Disney gave them in the original animated shorts back in the 1960’s. Blending them together and making it all work is tricky, but director Foster does a splendid job of giving them and their surroundings a fantasy feel. The forest is more enchanted than realistic, what with its bending treehouses and perfect sunsets. That allows elevated disbelief and visually, it plays spectacularly. The vocal performances behind the critters are vital too, and they are all exceptional. The legendary Jim Cummings continues to do incredible voice work, recreating the original sounds of Pooh (Sterling Holloway) and Tigger (Paul Winchell) while giving the characters a ton of his own wry spin too. If anything, his skills as a dramatic actor make them seem even more complicated. Brad Garrett makes for an even better Eeyore than the original Ralph Wright. Nick Mohammed as Piglet, Peter Capaldi as Rabbit, Sophie Okonedo as Kanga, Sarah Sheen as Roo, and Toby Jones as Owl voice their characters with flair as well. 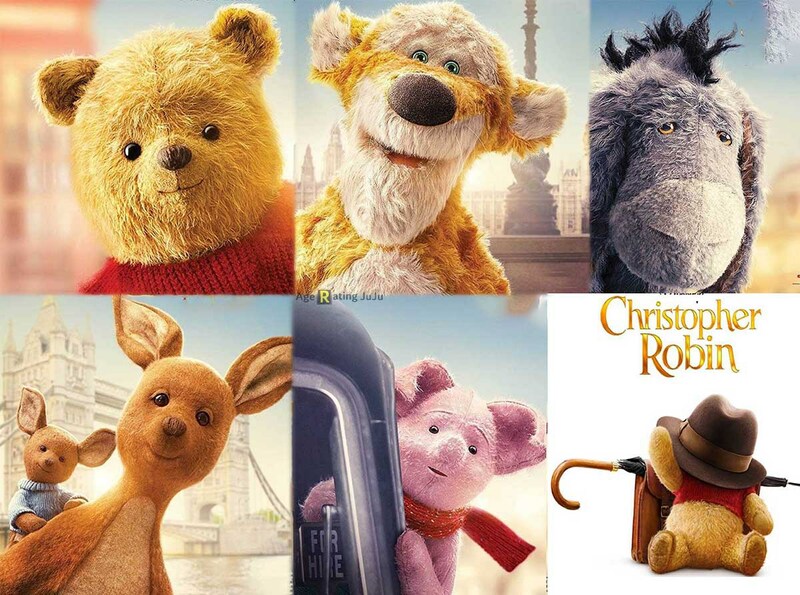 Oddly, the human characters, despite McGregor’s Christopher Robin, come off as not entirely three-dimensional. Atwell’s part is underwritten, though she breathes charm and depth into it nonetheless. Gatiss is sublime at portraying corporate villainy, but his role is almost as much a caricature as the original Pooh cartoons. Carmichael’s Madeline is mostly a put-upon child, and when she finally gets to interact with the wondrous creatures, the story hurls her into a belabored car chase with them through London as she races to Winslow’s corporate offices to help her dad keep his job. 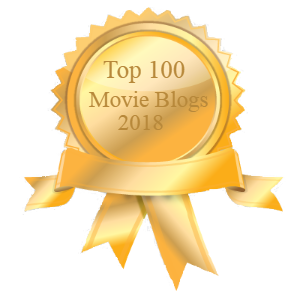 The script by Alex Ross Perry, Tom McCarthy, and Allison Schroeder, with the story by Greg Brooker and Mark Steven Johnson, is less successful when it labors to be an adventure film like that. They’re far better bringing the quieter moments to life, be it Pooh enjoying his honey or McGregor struggling to crawl through the narrow door of the teddy bear’s treehouse. Forster was smart to let Matthias Koenigswieser’s camera linger on the faces of his cast, especially the subtle movements of Pooh and Eeyore who share the lion’s share of screen time with McGregor. The little shifts in the creature’s eye movements, mouth curling, and brow-furrowing imbue them with more humanity than most of the human characters in the story. Granted, there’s some heavy-handedness here. You’ll see the lessons about leisure time being as crucial as billable hours coming a mile away, but in an economy that still doesn’t feel like it’s helping the working stiffs as much as the elites, it plays as a timely and necessary message. CHRISTOPHER ROBIN also ends up being a strong advocate of keeping families intact, be it human or otherwise, and that plays exceptionally well given this summer’s disgrace down at the Southern border. Mostly, this film works as ideal family entertainment, a genre that grows rarer and rarer at the Cineplex. It wears its heart on its sleeve and in this cynical world, that’s as sweet as honey.